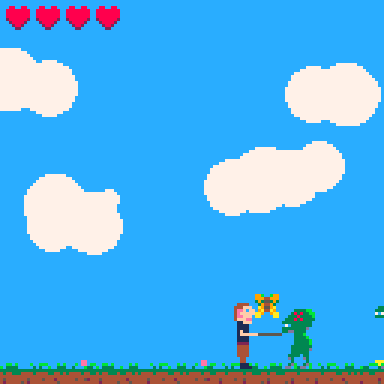 A small, simple action game made for the Fantasy Console Jam #2 on PICO-8. In Follow Me! the "hero" isn't quite smart enough to notice that he is being attacked by monsters, so it's your job to help him out. Lead him to safety, and frighten him to victory!